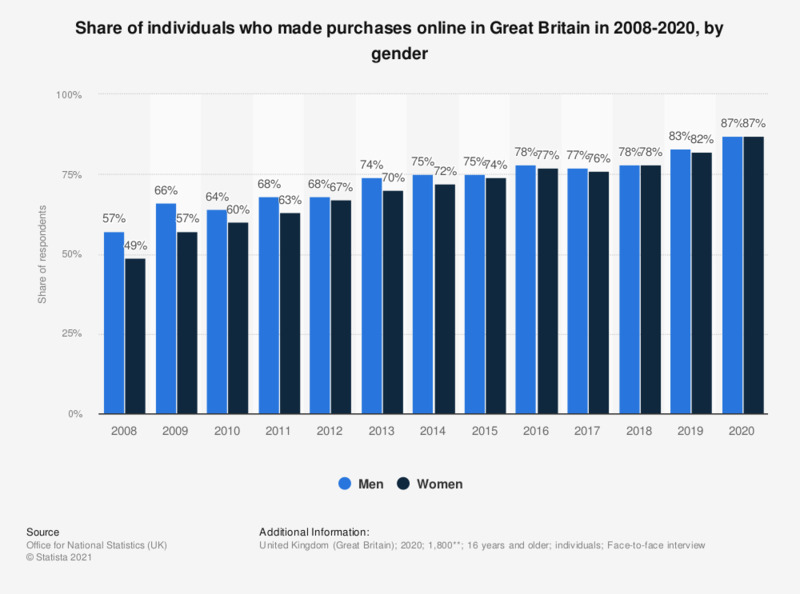 This statistic shows a timeline of online purchasing penetration in Great Britain from 2008 to 2018, by gender. Of women, 78 percent made online purchases in 2018. This is a higher share than the 76 percent of women who acted similarly in 2017.